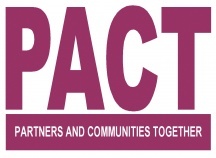 PACT meetings are regular meetings organised jointly between the Safer Neighbourhood Policing Teams (SNT), local Councillors and partners. There are 19 Safer Neighbourhood Teams in North Worcestershire, supported by teams of response and specialist police officers, police staff and special constables. Collectively, these officers work for the community tackling a wide range of crime and quality of life issues on a daily basis. To find out the latest Information on your area, right down to the individual street level, click here for the Link to go the West Mercia Police website. Neighbourhood Watch schemes encourage communities to work together to protect themselves and their property, which in turn can help to reduce the fear of crime and improve the local environment. The basic idea is that a scheme coordinator forms a scheme with a number of member households (on average 10-20 houses per scheme, but however many households they are happy to cover), and they receive NW messages from the police which they relay on (as appropriate) to those members. To find your nearest Neighbourhood Watch groups quickly and easily, use the post code search on the NHW website, click on the links to find out how to contact the local scheme coordinators. They will help you join and keep you informed of news and activities. Alternatively, Speak to your local safer neighbourhood policing team and ask them about local groups. The police don’t run Neighbourhood Watch, but they do have information about groups in your area.